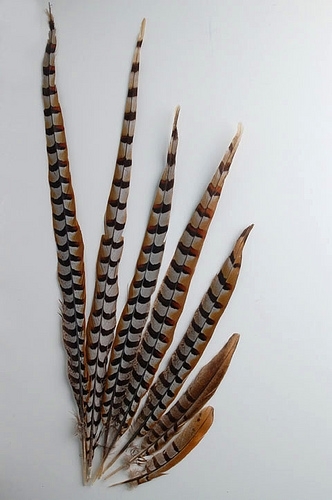 These Reeves Pheasant Tail feathers are perhaps the most interesting in our line. 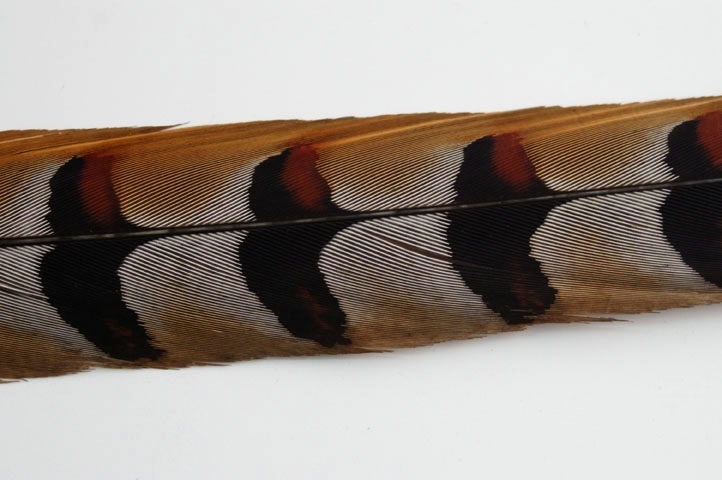 They have all the natural coloring and striping of the bird. They are used exclusively in hat trims and as extraordinary feathers headdresses for Carnival and Las Vegas type shows. 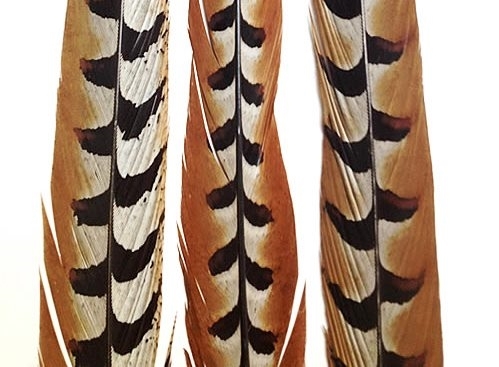 Whether in Rio, Aruba, Las Vegas or just your home town hat show, these feathers are the most important. They come assorted between 30"-35" in height. Reeves Pheasant Tails 55"-60" Reeves Pheasant Tails 45"-50" Reeves Pheasant Tails 35"-40" Reeves Pheasant Tails 60"-65"
Reeves Pheasant Tails 01"-05" Reeves Pheasant Tails 25"-30" Reeves Pheasant Tails 20"-25" Reeves Pheasant Tails 10"-16"